Here's a band that I got really enthused about when I first heard them. Russian band Ensslin has released this EP and it's due for a physical very soon via a quintet of labels. 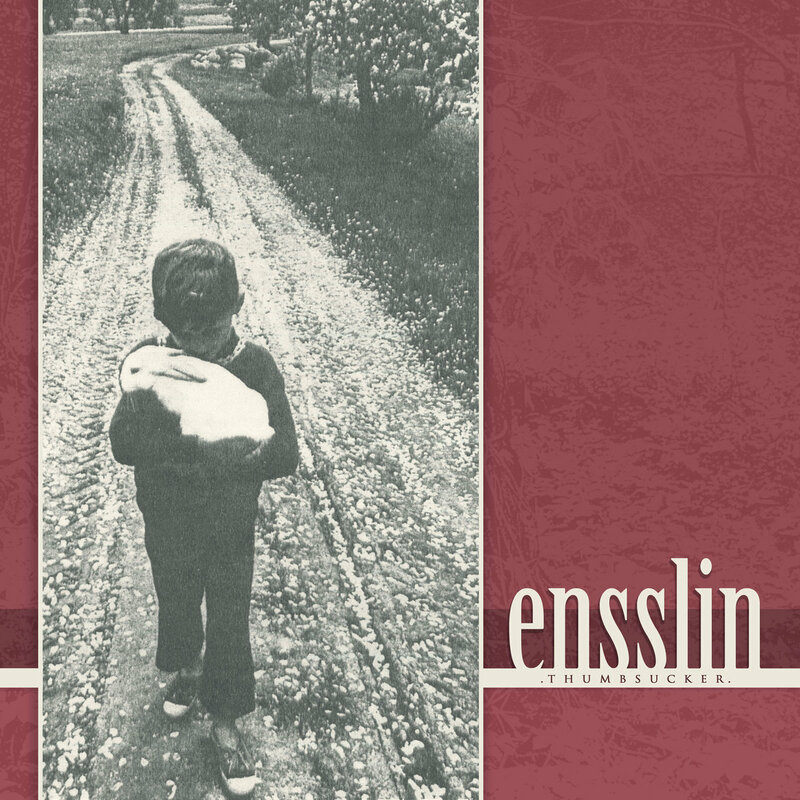 Ensslin is a emo quintet that takes influence from older bands. The cover for "Thumbsucker' reminds me of those that adorned records by the likes of The Spirit Of Versailles etc. They released their first demo in 2015, which consisted of two tracks and they don't seem to have a social media presence beyond their bandcamp page. Ensslin has crafted great indie/emo on “Thumbsucker”, with clean vocals that envelope you on EP opener Humiliation. It’s pop-like but it also features plenty of punk rhythms. They remind me of bands like Hopesfall and Time In Malta in places. Realm Of Fancy makes me ache for simpler times with it’s lo-fi yet glorious soundscapes, being both soothing and gentle. I think of Japanese emo when listening to Intimacy for some reason. I guess there’s a similarity between that country’s take on the genre and Ensslin’s sound here. The spoken-word approach on Lotus-Eater, which is backed up by minimalist percussion and guitar work sums up Ensslin for me. Listenable and easy-going seem to be apt descriptors. Closing song Not Your Reflection is almost operatic, but I sense that’s me being a bit pretentious and I don't want to write too much for partly that reason. This is just a lovely EP from a band operating under the radar of many. It’s special.